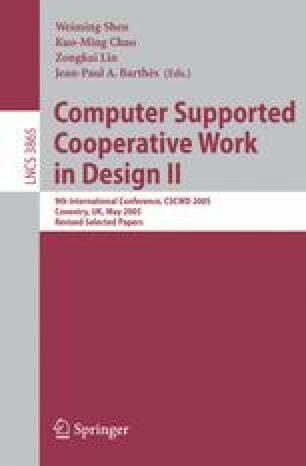 It is traditionally a challenging task to develop a distributed collaborative environment for solving Multidisciplinary Design Optimization (MDO) problem, due to the high degree of heterogeneity of various engineering computer tools and geographically distributed organizations. This paper presents significant results of our recent work on the development of a distributed collaborative MDO framework, which has incorporated a number of existing technologies including Web, workflow, adapter and agent effectively. Web technology enables the geographically distributed experts to access MDO environment anywhere and solve a multidisciplinary problem cooperatively. Workflow technology is employed to construct the complex branching and iterative MDO problem formulations, and automate the execution of design process. Adapter provides the designer with uniform interfaces through encapsulated engineering tools. Agent coordinates the operations on system resources, and more significantly performs the dynamic load balancing. A prototype system called JFMDO based on J2EE is developed to illustrate the effectiveness of the proposed approach.